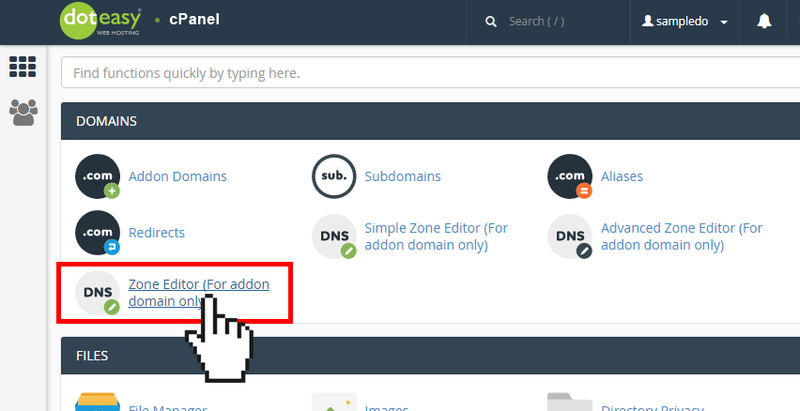 From the Domains table, locate the addon domain name you want to delete a zone file record. 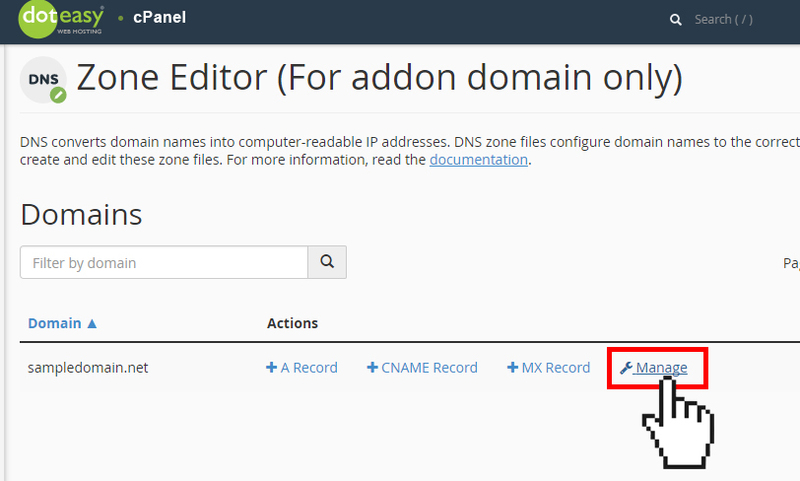 From the Zone Records table, locate the record you want to delete and then click Delete. Click Delete to confirm the deletion request. NOTE: Deleting certain records can make your website inaccessible, prevent email from working properly, or cause other unintended side effects.